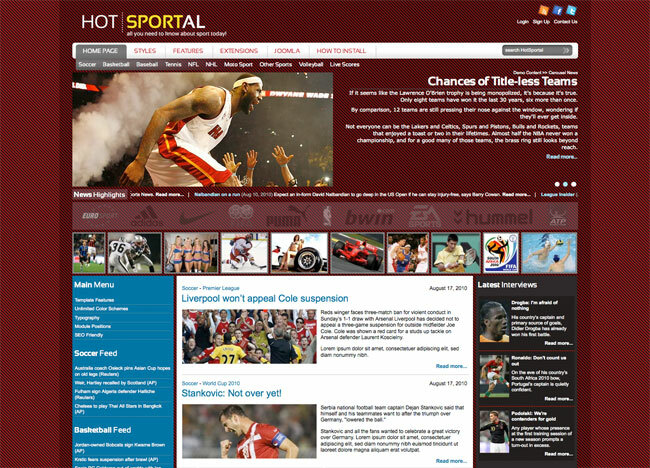 Hot Joomla Carousel Pro will make some of your news articles stand out as the most important on the home page. 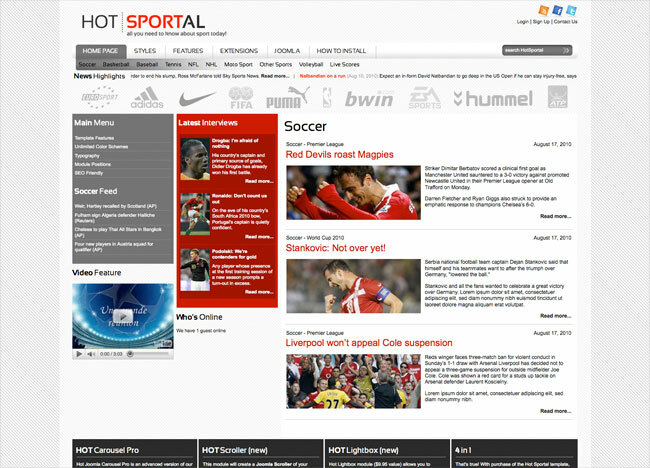 New Hot Scroller module will allow you to make a Joomla news ticker for the latest news. Another new extension, Hot Responsive Lightbox module, allows you to create responsive slide shows in minutes. 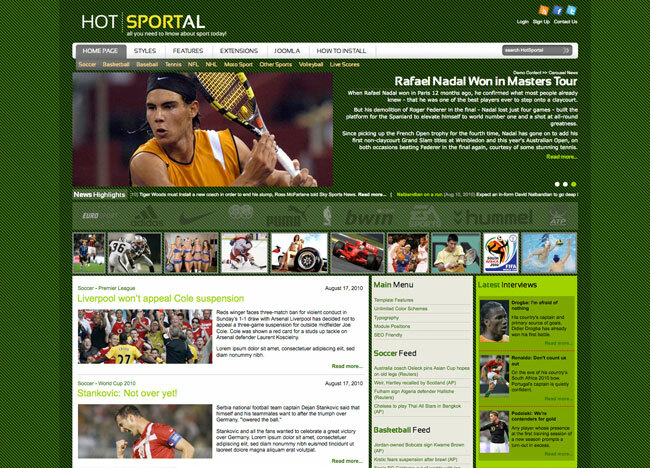 This template has been updated on April 2015 and new version is responsive and mobile friendly. 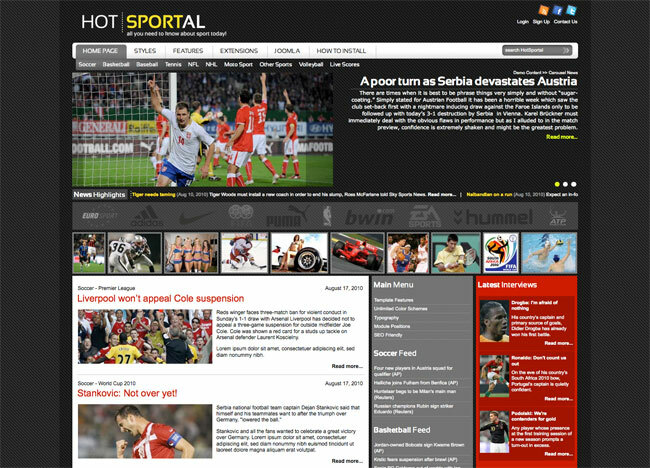 Responsive Joomla sports template is available for Joomla 3.x and later versions only. 100% responsive HTML5 and CSS3 code. 5 pre-defined styles. Each color is easily customizable in parameters. Infinite color combination. Hot Joomla Carousel Pro, Hot Responsive Lightbox and Hot Scroller modules (overall value $45) are included in the template package. Horizontal dynamic menu with sub-level (1 level deep). Compatible with IE7+, Firefox, Chrome, Safari and Opera on Windows and Mac. Tested on iOS and Android mobile devices.